In my last post, I discussed some of the main differences between Classicism and Romanticism, and in the post before that, we discovered through the analysis of different composers’ mastery of various genres of music, that in my opinion, Mozart is the greatest composer of all time, and why I ranked other composers as I did. While discussing music this weekend with my best friend from college, we discovered what it is that truly makes Classical era music different from music of other eras, and especially why Mozart’s music stands out among all other music across all eras. Classicism is the ideal of perfect balance, harmony, and symmetry of line, form, and expression through contrast. It is an ideal which is not about emotion, but about the expression of different “shades” or “colors.” In the Classical ideal, it is never about “me,” about “I.” It is not about how the composer “feels” about something, but about manifesting what is. While the Romantic writes about how the sunset makes them feel, the Classicist writes the beauty of the sunset itself. To do this, one’s emotions cannot overshadow or cloud the pristine beauty of what it is one is expressing. Everything must have clarity, and emotions do not clarify, but cloud. This is why personal emotional expression was not desired in the Classical era. It clouded the realization of the Classical ideal during the Age of the Enlightenment in which reason, logic, clarity, and structure were of supreme importance. It is precisely this ideal Beethoven rebelled against because his ideal was that of a Romantic – of personalized self-expression. This may be one reason for his lack of contentment with his teacher Haydn, whom Beethoven likely found to be too “rigorous” and “old fashioned” in his Classical ideals Beethoven would ultimately reject. I can remember while thinking of Mozart not too long ago, realizing there was “something missing” in his music which I can hear in all other music. This struck me as odd since Mozart’s music is often lauded as some of the most “divine” and beautiful music ever written. You would think there would be nothing missing in it. However there is something missing, and that something is the “I.” There is no “I” in Mozart. As I said in my last post, with Mozart there seems to be a kind of “detached” quality in his music which is not present in any other music, not even Bach. While I feel Bach is very much like Mozart in that you cannot know the man through the music, Bach’s music is about emotional expression, as he was a Baroque composer during an era in which emotion was desired, but not personal expression of emotion. While this makes his music not “about Bach” specifically, it is or at least can be about emotion, which is necessarily centered on the concept of the self, the “I,” because without the “I,” emotion does not exist. Interestingly enough, this was not the man Mozart himself, who could be proud, arrogant, rude, judgmental, and very critical of others. While Mozart also had positive qualities such as being kind, loving, generous, and loyal to his friends, his character flaws resemble the mirror opposite of his music, and may be the best proof of all how for Mozart, the music was not the man. While the film “Amadeus” was largely fictional, this fact of the disconnect between Mozart the man and Mozart’s music was perhaps the most accurate part of the film. It was this aspect of Mozart which most confounded Salieri, and was perfectly reflected in a line from the film in which Mozart says to the Emperor Joseph II, “Forgive me majesty. I’m a vulgar man. But I assure you my music is not.” The fact he could compose opera from the age of twelve while being able to create music perfectly appropriate for complex emotional situations in storylines prove his music was not about “personal experience” or emotion. If it was, he would not have had the emotional maturity to compose opera, because at twelve years old he had not yet reached puberty and had not experienced the complex hardships, joys and trials of adulthood. Throughout Mozart’s life, even in adulthood, his letters reveal himself to be sometimes immature and emotionally needy and underdeveloped. 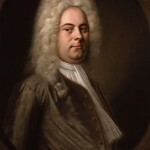 If this was the man who created profound messages musically and dramatically in opera, then he could not be ranked as one of the top three opera composers of all time if writing opera demanded it reflect his own personal and emotional experience. While the film “Amadeus” was largely fictional and exaggerated some of Mozart’s compositional techniques, the fact is Mozart did behold the entire structure of complex concertos, symphonies, and arias, and most of the details. There were only some details he had to “work out” on paper, as revealed in his working manuscripts. These “working manuscripts” were essentially “fair copies,” or copies one would give to a publisher to engrave, but Mozart did not make separate copies for publishers because his working manuscript, even if it had a few minor corrections, was perfectly clear enough. Even though Mozart was writing essentially “formulaic music” in that the structure and harmonic language was predetermined, the fact he wrote so many compositions within such formal and harmonic limitations, while creating such enduring and beloved undisputed masterpieces makes his accomplishment all the more astounding. He used no tricks, no gimmicks, just the pure and pristine beauty of expression in sound. Contrast this with Beethoven, whose music is all about the “I.” It is all about Beethoven, how he thinks and feels about things, personal, political, romantic, or otherwise. Since Beethoven is about personal feeling and expression, it is likely another reason why he is the “world’s favorite” composer as I discussed in my last post. We can relate to Beethoven better than we can Mozart because Beethoven’s music is personal, emotional, and beautifully human in its imperfections, just like us, which does not mean Beethoven’s music is not great. It is phenomenal. He just had a different philosophy than Mozart and the Classicists. Beethoven embodied and championed the Romantic ideal based on personal expression. 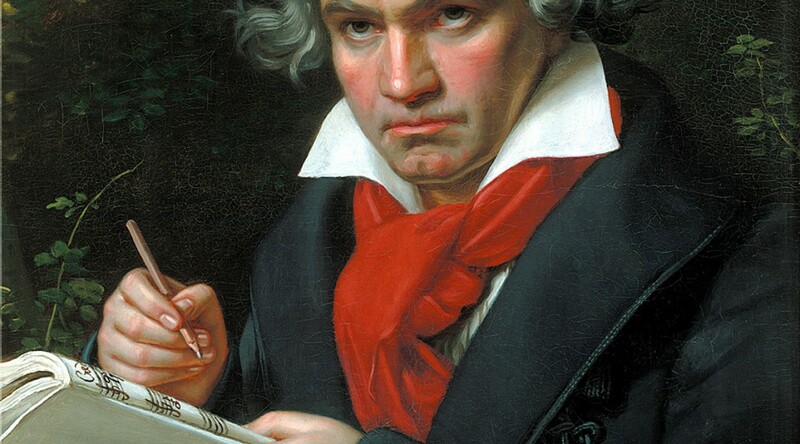 The art music world has never been the same since Beethoven, who is by far the most influential composer of all time. Now when we hear performances of music, we hear almost all music, even Bach, played through the filter of Romanticism, which was not Bach’s intention. While he definitely desired to express emotion, it was never personal. We have become “romantic junkies” as it were, desiring to hear everything through a romantic filter because we have become addicted to the warm, rich sound of Romanticism with heavy vibrato in the strings, and exaggerated dynamic and tempo changes. With Mozart, these romanticized performances of his music are even less forgivable because Mozart’s music is the complete antithesis of Romanticism. His music was never about emotion, nor was it ever about “me.” This does not mean his music cannot evoke emotion, but rather it is not about emotion. It is about the elegance, beauty, and purity of absolute music itself, regardless of whether he was expressing “darker” shades in minor keys, or “lighter” shades in major keys. Like different colors, different “shades” of music are neither “good” nor “bad,” and neither “happy” nor “sad.” These notions are romantic notions, and have nothing to do with Classicism, even though we sometimes tend to play Mozart through a romantic filter. If we bring these emotions on our own to the music, and “hear” this in the music, then so be it. It is not “wrong” to hear Mozart’s music romantically, as we all have our personal tastes and preferences, but music written from the Classical era was never personal. Beautiful and clear, yes, but never personal. To hear Mozart’s music through a romantic filter is to compromise the pristine clarity and beauty revealed in his music since emotions, while not “good” or “bad,” inhibits clarity. This is something my best friend from college and I discussed this weekend while listening to some amazing period instrument recordings of Mozart’s symphonies by the Academy of Ancient Music under the direction of Christopher Hogwood, as well as Mozart’s piano concertos from a period instrument recording by the English Baroque Soloists under the direction of John Elliot Gardiner and played by Malcolm Bilson. In these recordings, my friend was stunned by the incredible clarity of line and balance with the period instruments, and how he could hear each individual instrument with unprecedented clarity. It was a revelation for him. It was as if he had never truly heard Mozart before. Prior to my friend’s visit to see me, he did not particularly like Mozart’s music because he had never heard it performed properly. He could now appreciate Mozart’s music and Classical era music in general far more with the discovery of period instrument performances. I recognize I had subconsciously forgiven the “romanticized” performances of Mozart’s music because of my own love of Romantic style playing. Still, my friend was correct to point out the fact Mozart’s music cannot be fully appreciated without being played as it was intended to be played. As I said in my last post, subjective tastes from person to person as well as who we are as individuals moment to moment will determine what music we choose to listen to at a given time. Sometimes we want to hear something fun and lighthearted. Other times we want to hear something which will reach the core of our pain and suffering. Still other times, we want to listen to be intellectually stimulated – for music to challenge us and bring us out of ourselves. This is why no single composer or genre of music can give us everything – because the depth and vastness of human experience is far too great to be limited to only one personality. In looking at the difference between Mozart and Beethoven, I have been especially asking myself what the difference is between how they handle their slower movements which often tend to be the “heart” of their large-scale works. There is quite a difference between them, but until now I have not yet tried to express just what this difference is. It has often been said that in Mozart’s music, even when he is displaying a more “serious” tone in his minor key works, there is a kind of “detached” quality in his work, unlike that of Beethoven. I believe this is one of the reasons Mozart’s music is often described by some as “divine,” or “otherworldly.” While there is a kind of “transcendence” in Mozart’s music because of its exceptional and extraordinarily rare beauty, it does seem to come from the perspective of an “observer” instead of one who is actually living in the mood which is being expressed. This is why I think his music is often perceived to have a kind of “detached” quality. With Beethoven, I almost never feel this “detachment.” I feel as if I am truly hearing Beethoven himself, and am almost eves dropping on his most private thoughts, fears, hopes, and joys. Beethoven brings us into his private world, gathering us to himself, and has a kind of “heart on his sleeve” quality in his music, as does Mahler, while Mozart seems able to somehow not ever truly reveal himself – the man, through his music. I feel this way about Bach as well. His slow movements in his violin concertos are extraordinary, and contain some of the most expressively passionate and beautifully heartfelt music I have ever heard. However, I still don’t feel as if I am hearing Bach himself, but rather Bach’s truthful conveyance of the emotions of passion itself, or any other given emotion or aspect of life. With Mozart and Bach, we cannot know the man behind the music. In that regard, Mozart and Bach are very similar. There is a lack of ownership in what they are expressing. It is never really personal. It feels like a non-personal third-party observation of human experience, but it is not necessarily about their experience. While they express through their unique personalities, resulting in a different “sound” in their music, it is never really about them, but about the music itself and what mood they are trying to express. The difference between the two is with Bach, he is expressing emotion, although not his emotion, while Mozart, while capable of evoking emotion, is not about emotion, but the beauty of the perfect balance of the universe. This difference was due to the different ideals of the Baroque and Classical eras. This lack of personal expression is as the patrons and public Mozart and Bach were writing for wanted it. Personal expression was not the concern of those patrons in a culture under aristocratic rule in which composers were mere servants. Beethoven did not see himself as a servant, but as an individual artist, bringing forth the Romantic era with full force like a thunderbolt clap. Personal, individual expression is what the Romantic era was all about, and it all began with Beethoven. Beethoven could be said to be the first true “romantic” composer, whose goal was personal expression of the individual, which was further emphasized with the rise of the virtuosic concerto form which symbolically displayed this clear delineation between the individual and the mass – the soloist against the orchestra. In Beethoven’s concertos, there is a more clear separation between the soloist and the orchestra, unlike in Mozart, where the soloist and orchestra are a more unified whole, and even less like Bach in which the soloist and orchestra are more integrated still. However, Mozart clearly paved the way for Beethoven in his piano concertos in D Minor, K. 466 and C Minor, K. 491, both works which Beethoven greatly admired. He modeled his own C Minor Piano Concerto, Op. 37 after Mozart’s K. 491 C minor concerto. 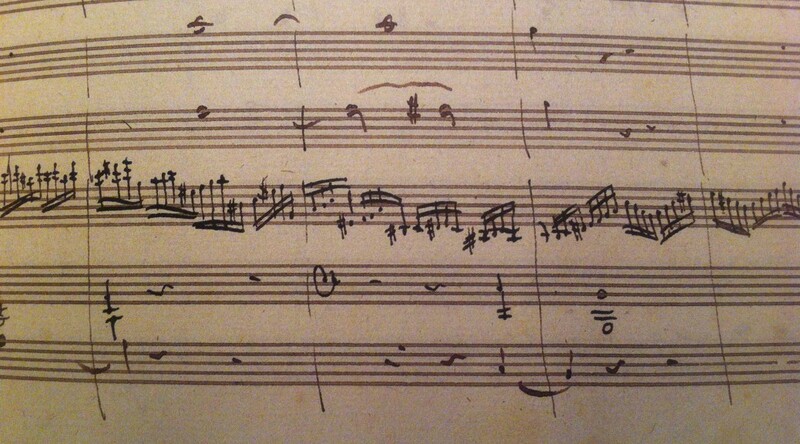 Beethoven also composed his very famous and often performed set of cadenzas for Mozart’s D minor Piano Concerto, K. 466. The darker tone of these two famous minor key concertos by Mozart naturally had an appeal to 19th century composers, especially Beethoven. On a more subtle level though, this separation between the individual and the mass is perfectly symbolized by the entrance of the solo piano part in each of these Mozart concertos with new melodic material not stated in the orchestral exposition. Mozart had begun this separation in several of his late piano concertos, and Beethoven expanded the concept, made it his own, and put his personality in his music in a way which had never been done before him. This is what separated Beethoven from every other composer. He truly served notice to the end of the aristocratic “old world” and marked the beginning of the democratic “new world” which saw the rise of the middle class, and the weakening and ultimate demise of the aristocracy. Beethoven’s music perfectly personified the social change of his world. This more “democratic” ideology reflected in Beethoven’s music speaks to us to this very day. That, combined with his highly personal self-expression is what I think makes Beethoven the “world’s favorite” composer. Mozart’s music is highly popular and I feel easier to listen to than Beethoven’s on the whole, but Beethoven speaks to the individual struggle and triumph over hardship we all can identify with in a way no other music did before him, and in many ways, after him. Beethoven took his personal story – his struggles and triumphs in dealing with his deafness, and put it in his music, telling the world the story of his life in his compositions. Mahler can be said to have done the same. In that regard, Beethoven and Mahler are very much alike, even if not alike stylistically. Beethoven’s individual works also seem to have had more ultimate significance to his career than any one piece had on Mozart’s career. 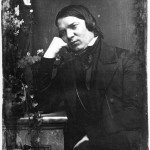 Perhaps this was partially due to Beethoven’s comparatively smaller output, and also due to the lofty status major works had come to attain in the 19th century. In Mozart’s day, new compositions were to be enjoyed, and then replaced by newer works. Music was “here today and gone tomorrow,” and was a means of entertainment, a part of the social climate in which musical works were not necessarily considered or recognized in the 18th century as “masterpieces” in the romantic sense as we think of works after Beethoven. This again links back to the fact that in Mozart’s day composers were considered servants, and not artists. Beethoven’s insistence on being considered an artist and taken seriously as one helped him establish a solid reputation and created genuine anticipation for his new works. 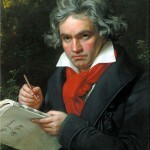 In that sense, Beethoven may have “marketed” himself better than Mozart ever did, who had great success for a time in Vienna as a much sought-after pianist and composer in the early 1780s, but could not sustain his success with the rise of recession and war, and eventually the death of Joseph II in 1790. When we think of Beethoven, we think of the Ninth Symphony “Ode to Joy” melody and the extremely famous opening of his Fifth Symphony. The only work of Mozart which has this kind of presence in the consciousness of the global culture is his “Eine Kleine Nachtmusik” for strings. Given this snippet of music samples from each of these composers in the public awareness, it is no wonder Beethoven is often generalized as “more serious” and “deeper” than Mozart, while Mozart is often thought of as being “less serious,” and more “light,” whose music is best suited for pleasant entertainment at cocktail parties. 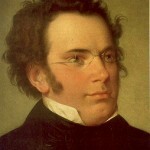 On the contrary, Beethoven can often be quite light, as in the third movement of his Seventh Symphony, and the playful second movement of his Eighth Symphony, while Mozart can also be quite serious and “deep.” Even the second movement to “Eine Kleine Nachtmusik” K. 525 has more depth than it appears to have. There is a disturbing quality to this music behind the beautiful façade, in much the same way this is present in the famous beautiful slow movement to the 21st Piano Concerto in C major, K. 467. Mozart’s “depth” may appear less obvious, but in other works, such as the “Kyrie” of the unfinished “Mass in C Minor,” K. 427, and the slow movement of his “Sinfonia Concertante,” K. 364 for Violin and Viola, there is a real depth and a dimension to Mozart well beyond the superficial. The slow movements to his violin concertos, especially those of his third and fifth concertos are more examples of the depth of Mozart. Even so, Mozart still manages to maintain a kind of “detached” quality, even in his “deeper” pieces, which makes him all the more mysterious and enigmatic. Another thing which gives Beethoven perhaps the broadest appeal over any other composer is the fact he composed in essentially two different styles in two different eras. His earlier works recall the compositions of his teacher Haydn and also Mozart, while his later works, possibly beginning as early as the “Pathetique” Sonata for piano in C minor, Op. 13, and certainly with the “Moonlight” Sonata for piano in C# minor, Op. 27, No. 2, reflect a new style which came to be broadly known as “Romanticism.” This new “Romantic” era lasted just over a century, ending with Mahler’s symphonies of the early 20th century, and was extended by Rachmaninoff into the first half of the 20th century, while at the same time several other composers like Prokofiev, Bartok, and Stravinsky were composing in a more “neo-classical” style, rejecting the “excesses of romanticism” which they felt had run its course. Classicism and Romanticism in a sense, embody two opposite ideologies. Classicism is about balance, clarity and precision of formal structures, purity and beauty of tone, and generally contains limited if any personal emotional expression. While various moods and tempi are explored, there is always a kind of “discipline” to music of the Classical era which is never really about emotion even if it can evoke emotion. This is the exact opposite of Romanticism, which is all about emotion and personal expression. The Baroque era was also about emotion, unlike Classicism, but unlike Romanticism, it was never personal. It was not about personal emotion, but about emotion itself. Romanticism, while still adhering to formal structures, generally embodies an expanded view of form not as apparently “precise” or as “tight” as Classical music structures. Romanticism is also about personal, emotional expression, which thrived especially in late 19th century opera by Wagner, Verdi, and Strauss, and the symphonies of Bruckner and Mahler. Restrictions of form and personal emotional expression were much relaxed in the Romantic era. “Program music,” in which composers attempted to tell a “story” either generally and implicitly as in Beethoven’s “Pastoral” Symphony, or specifically and explicitly as in Berlioz’ “Symphonie Fantastique,” came to the fore in symphonies like Mahler’s Second and Third Symphonies, and the new “tone poem” form made especially famous by Richard Strauss in works such as the very famous, “Also sprach Zarathustra,” Op. 30. In general, Romanticism embodies a greater “fluidity” in form and expression than does comparably rigorous Classicism. The works of the Romantic era were generally longer in duration, and in some cases, much longer in duration than the works of the Classical and Baroque eras, and generally tended to employ much larger forces than those used in works of the Classical and Baroque eras. The rise of the prominence of the brass section of the orchestra in the 19th century helped bring about this expansion. Berlioz, with his “Symphonie Fantastique” almost single-handedly revolutionized the orchestra and its size overnight, employing a large brass and percussion section. Romanticism could be said to be the most popular style of “art music,” as exemplified by the fact it is the foundation for much of the film scores we hear today. There are times I need the purity, clarity, and certainty of music of the Classical era. When I feel this way, I listen to Mozart, Haydn, and early Beethoven. When I want to experience the openness and vastness of looser formal structures and personal emotional expression, I listen to Mahler, Rachmaninoff, Tchaikovsky, and middle-to-late period Beethoven. When I want a kind of balance between Classicism and Romanticism, I listen to Brahms and Mendelssohn. 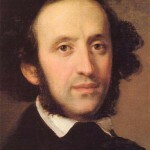 A child prodigy like Mozart, Mendelssohn was truly a classicist at heart while composing during the early Romantic era. His formal structures are tight and clear, as are his orchestrations, as epitomized in “A Midsummer Night’s Dream,” Op. 61, and his “Italian” Symphony in A Major, Op. 90. He was capable of writing very warm, beautifully romantic music, as found in the second movement of his very famous Violin Concerto, Op. 64. 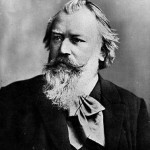 Johannes Brahms was among the most conservative of the romantics. 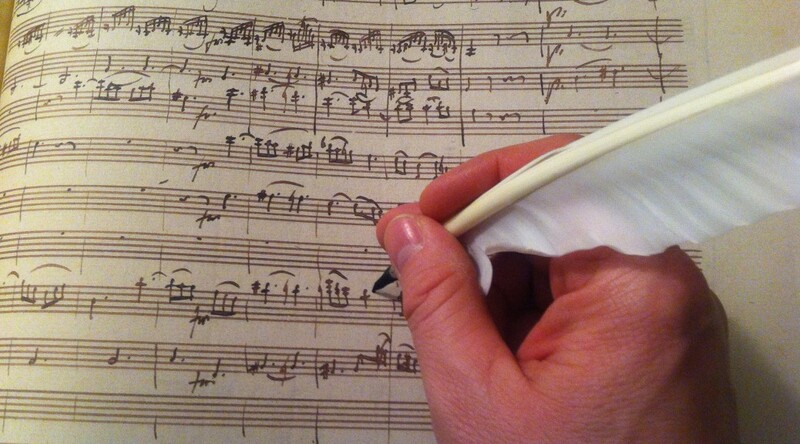 A huge admirer of Mozart, even once owning Mozart’s autograph score of his Symphony No. 40 in G minor, K. 550, he embraced tighter formal structures while maintaining a distinctive and very passionate Romantic feel in his works, especially in his piano works. I once studied with a piano teacher in New York who was also an author named Seymour Bernstein. He once told me Beethoven is the world’s favorite composer. As I said in my last post, it is my opinion Mozart is the greatest composer of all time due his mastery of all forms of music in a way unmatched by any other composer in history. However, Beethoven’s mastery across styles is also unmatched by any other composer in history. Since Beethoven’s music embodies both the Classical and Romantic styles in a way and with an assuredness and quality other composers’ music generally do not, it is no wonder he is the “world’s favorite” composer, as he can appeal to “classicists” and “romantics” at the same time. I can now today better understand what Seymour Bernstein meant when he said this of Beethoven. On top of Beethoven’s stylistic diversity, his story is our story of struggle, hope, fear, triumph, and joy. We can identify with him because he wears his “heart on his sleeve,” because he reveals himself in his music, unlike Mozart. For my general tastes and personality, I have always preferred Mozart over any other composers overall. The reason for this may be due to the fact I am an OCD perfectionist who prefers clarity of thought, structure, and line, all qualities epitomized in Mozart’s music. Ironically enough, the reason I likely desire this clarity is because I am truly a romantic at heart, and tend to be less disciplined. Therefore it is precisely structure and discipline I need to balance my Romantic, less structured nature. This is because we often need what we are not. This could even be said for Mozart himself, who led a generally otherwise undisciplined life outside of music, and seemed to “need” the discipline of Classicism to balance his less structured nature. This need for balance is true for everyone, which is why one’s “favorite” composer or composers is very personal. I must confess in the past I never quite gave Beethoven his due, but after revisiting his earlier symphonies and piano concertos, I could not help but be incredibly impressed with his amazing mastery of the Classical style while still making it his own. It makes his achievements in his later style all the more astounding because whether in his earlier style of Classicism or in his later style of Romanticism, Beethoven always was comfortably and assuredly himself. This is the mark of a truly great composer. Beethoven is certainly one of the greatest. The Greatest Composer of All Time? I have lately been thinking about composers and their contributions to music, especially comparisons between Mozart and Beethoven, as well as the question of who is overall, the greatest composer of all time. 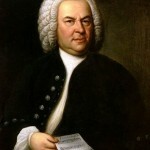 To be clear, when I refer to “the greatest composer of all time,” I am referring to the one with the greatest overall mastery of compositional techniques, musical forms (sonata form, rondo, theme and variations, fugue, etc. ), and genres (symphony, concerto, opera, etc.) – not necessarily the one whom one might find their own personal favorite. There are several composers I enjoy for various reasons, and when it comes to contemplating which composer is the greatest overall, I decided to do some research on how composers were ranked within various genres of music. When coming up with my ranking process, I reasoned that logically speaking, the more genres a composer has mastered, the greater their mastery and overall ranking as a composer. For composer rankings, I have followed a process like the scoring used in bodybuilding competitions in which physiques are judged in “rounds,” which represent different aspects of physique assessment such as symmetry, muscularity, and presentation. Each round is individually judged and scored numerically with the number 1 representing the top placement, and each subsequent larger number representing the placing from best to least best. The placement number of each “round,” or in this case, musical genre for each composer, are added together to create a “total score.” The overall placements are ranked from lowest to highest total score numbers, with the lowest number representing the best to the highest number representing the least best. 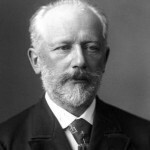 I have chosen ten classical music composers to rank and have noted the ranking for each of them in the seven genres of music as listed on the digitaldreamdoor.com website. Eight of my top ten composers are listed in the top ten on the digitaldreamdoor.com website, although not in the exact order as they appear on my list. As with all subjective art forms, opinions about these rankings will inevitably vary among different people. However, I find the rankings at digitaldreamdoor.com to be reasonably fair and accurate. While I do not entirely agree with their overall rankings of “greatest” to “least great” composers, I agree for the most part with their rankings of the composers by genre. 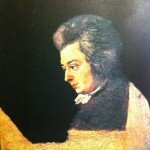 As we can see from the chart above, Mozart is ranked highest when considering the overall “total score.” He is the only composer among the top ten composers listed above who is ranked in every major genre of music in the categories of opera, chamber music, symphonies, concertos, choral music, piano, and organ music. Not only is Mozart the only composer to be ranked in all of the above listed seven major genres, he is also the only major composer who wrote in every major genre while also ranking as a top composer of opera. To be ranked among the top three composers of opera in the history of music without being an essentially “opera-only” composer, as the top two opera composers Richard Wagner and Giuseppe Verdi were, is extraordinary, especially in light of the fact Mozart also excelled in every other major genre of his day. The Kochel catalogue of Mozart’s music reveal a total number of 626 compositions, many of them multi-movement works for many different combinations of instruments often lasting between 20 to 30 minutes, and sometimes longer. This list also includes several operas lasting over two and a half hours. While the Kochel catalogue has been revised and become more comprehensive over the years, it still does not account for all of his works, so the number 626 is not entirely accurate, and actually understates his unbelievable production. On top of this extraordinary quantity is the even more extraordinarily exceptional high quality of so much of his music. These amazing and unprecedented compositional achievements in the history of music by Mozart, not to mention the almost unbelievable fact he did it all within a lifespan of just 35 short years, beginning at the age of five, are the basis for my opinion he is the greatest composer of all time. I consider Mozart the greatest composer of all time simply because he had no weaknesses in music. Just as bodybuilders are judged as the “best” being the one with the fewest weaknesses, Mozart had none. His formidable combination of both musical range and mastery is without parallel. There was no form, technique, or genre he did not master as a composer, and in most cases, he mastered them better than anyone else. This cannot be said for any other major composer in history. He was a master of all genres, techniques, and forms – not merely a “jack of some trades,” and master of some or none as several composers were. Not only was Mozart a master of all genres, but of all techniques, not the least of which was melody. Mozart is widely regarded as the supreme master of melody, as many composers after him aspired to his melodic greatness, including Schubert, Chopin, and especially Tchaikovsky, who idolized Mozart. While Mozart was not a “tunesmith” as composers like Schubert, Chopin, and Tchaikovsky were, he was still an amazing melodist. Is it this feature in his music which makes him immediately stand out from Haydn and Beethoven, both of whom dealt more with gesture and motif than with melody on the whole. With Mozart, melody reigns supreme, even though he too used gesture and motifs. This distinction between Mozart and Haydn and Beethoven is for me, most evident in their string quartets. With Beethoven especially, his secondary themes are typically motific, very rhythmic, and often utilizes silence as much as sound. 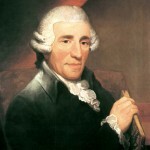 Haydn also has this same tendency as Beethoven, but to a lesser degree than Beethoven. With Mozart, his secondary themes are always essentially melodious, even if they can be more rhythmic than the principle theme, and are often even more striking and more beautiful than the principle theme. This is why the essence of Mozart is melody. He was also a master of counterpoint, brilliantly exemplified in his string quartets and quintets, the last movement of his Symphony No. 41, the “Jupiter,” the “Great” Mass in C Minor, and the Requiem. He is unsurpassed in the history of music as a master of formal perfection, who brilliantly mastered the formal structures of the sonata, rondo, theme and variations, and fugue among others. Mozart often imaginatively expanded the formal structure of his works with delayed cadences, extended phrases, and unexpected resolutions which could have been much more conventional and less interesting in the hands of lesser composers. What is amazing is he did this without compromising the overall structure and balance of the phrase, the entire movement, and indeed the entire work. His choices are perfect – with never too much or too little. Even as he attains a level of beauty and perfection in an idea which takes your breath away, he is at once off again to the next idea, even more beautiful than the one before. This is most especially evident in the transcendentally beautiful second movement of his only completed string trio, the “Divertimento” as Mozart titled it, in E-flat major, K. 563. While it is true that compared to Haydn and Beethoven, Mozart is the most harmonically conservative, his modulations and progressions often surprise and delight, especially in his chamber music. Mozart was not so much an innovator as was Beethoven, but rather a perfecter of the Classical style. Mozart not only excelled in all genres and techniques of music as a composer – a colossal feat in and of itself, but was an extraordinary performer and improviser as well. He would spontaneously improvise entire compositions at the piano during his subscription concerts, sometimes writing them down later, and played at a concert level on the piano as well as the violin, performing both his own piano concertos and violin concertos at concerts. Of the major composers, only Bach and Mozart can be said to have been able to play more than one instrument at a concert level. While Paganini was the best violinist of his day, he was not a major composer nor did he play at a concert level on more than one instrument. Beethoven, as great as a composer and accomplished pianist he was, could also not play more than one instrument at a concert level. Franz Liszt was also the most extraordinary pianist of his day, and while he was a respectable composer, he was not among the greatest, and like Paganini, could not play more than one instrument at a concert level. Mozart also performed as a child prodigy from the age of 6 on, dazzling royalty and clergy by playing the harpsichord and violin blindfolded, transposing complicated pieces at the keyboard on request, and had an extraordinary memory, able to write down entire pieces after just one hearing. All of these facts put Mozart in a class all by himself as the greatest overall musician in history. As I have mentioned above, to simply take the rankings of composers in each major genre and rank them in order does not take into account other more subjective considerations when assessing the greatness of composers, such as historical influence, innovative musical thought, etc. Also, some composers, such as Bach were not writing during a time in which the symphony and string quartet had been technically invented, and other composers, such as Stravinsky, were not always focusing on “traditional” formal structures, and/or were writing during a time in which the traditional forms of symphonies, concertos, and quartets were not always written with the same frequency they were written in the 18th and 19th centuries. Some composers seem to embody a real sea change in music, such as Beethoven whose career was truly the embodiment of the end of Classicism and the birth of Romanticism. This makes sense given the fact he lived almost exactly half his life in the 18th century, and half of his life in the 19th century. Hector Berlioz, almost exclusively known for his “Symphonie Fantastique,” was an amazing trailblazer in orchestration, creating sounds in the orchestra and exploring possibilities which had never been known before him. Frederic Chopin did for the piano what Berlioz did for the orchestra, although Chopin has far more music in the repertoire than does Berlioz. Chopin wrote almost exclusively for the piano, and explored sounds and possibilities of the piano which had never been heard before, much as Debussy did this for the piano in the late 19th, early 20th century, embodying Impressionism. However, unlike Chopin, Debussy was a skilled and brilliant orchestral composer as well. His pieces “La Mer,” and “Prelude to the Afternoon of the Fawn” are just two of his numerous examples of shimmering orchestral beauty the likes of which had not been heard before. Stravinsky was also a brilliant trailblazer in orchestral composition in the early 20th century with “The Firebird” and “The Rite of Spring” ballets, who like Berlioz in the early 19th century, created orchestral sounds and explored exotic sonorities never before heard. Wagner took harmony in new and highly influential directions with his opera “Tristan und Isola,”ultimately paving the way for atonal music as championed by Arnold Schoenberg and Anton Webern in the 20th century. Wagner also took opera and the “total art work” concept to unprecedented heights, while Mahler did the same for the symphony, employing enormous orchestral forces, solo voices, and sometimes choruses in his works. We all have subjective tastes, and ultimately the music which moves us most will depend on our personalities, our tastes, our moods, and myriad other variables. No single composer or genre embodies the whole of music. Music is larger than all of the greatest composers and musicians combined, so in a sense, the question of who is the “greatest composer” is not even the point. All composers and musicians are ultimately vehicles for the larger purpose of expressing through music. How wonderful it is we have such an incredible variety of music to listen to across generations, genres, styles, composers, etc. One could focus on only one small part of music and spend a lifetime on that alone. Such is the vast expansiveness and limitlessness of this wonderful world of music.